From Canada across the Sault Saint Marie Bridge into the States, Kathy Lemieux at the helm. ality show called MANTRACKER of which Phil Lemeiux has appeared in 11 episodes. It was really quite an honor to have met the Lemiuex’s. My last night in Ontario at there beautiful Texas style home. There is, with a ride of this length and breath, a certain amount of forward impetus that must be maintained. Keep moving. Keep moving, prepare for the next step, focus, stay alive. And of-course one must find withing that frame of mind – time to enjoy, appreciated and learn from the journey. One of the hard parts of what I do is this, riding away from folks you have spent enough time with to become friends. People who have helped in one way or another. They have provided shelter or food or necessities or a hot shower or a haul or the list goes on. And they become imbedded in your journey, in your heart and the next day you rise, saddle up and ride out never to see one another again. They must be left behind as soon as I ride out, my mind must clear for the immediate events that surround me. 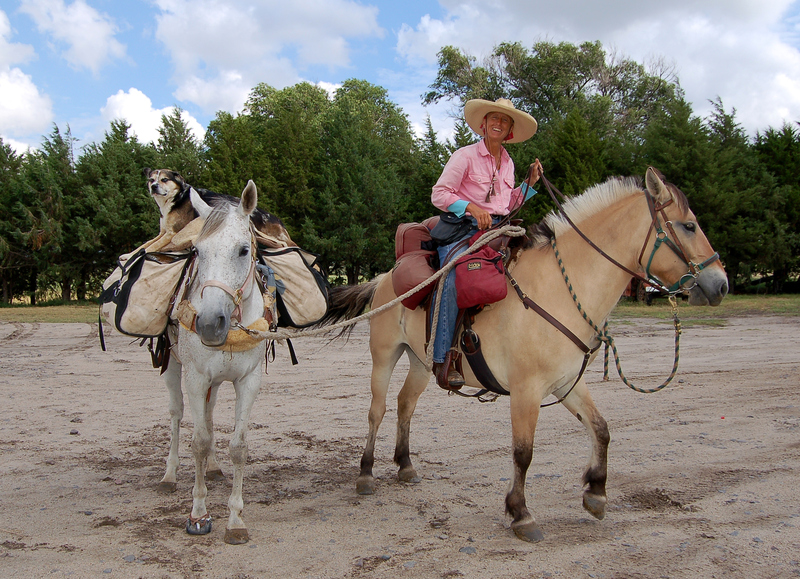 The traffic, the horses, the weather, the direction I am headed must fill my mind with a clear purpose and destination. I must cast those friendships into the sky and hope they land on the stars where I can recall and reflect upon them in the stillness of a star studded night. Picked up a rails to trails Michigan has successfully established many of these….wonderful!! But as soon as I ride out it ALL must be put behind me. It just has to be or I’d get myself killed. I must be present. I must not be thinking of what happened back there. But do not think I forget, do not think I go riding off and LEAVE YOU ALL BEHIND, no it’s not like that. My heart is bursting with gratitude and I know, I truly know that I could not possibly do these rides with out the help of people like you. There are to many emails to answer them all. There are to many people to email and thank each time I ride out but please, please know that my rides, my saddle, my panniers are packed with memories and gratitude. That each night when I stop for the night you are up there shinning from a star reminding me I am not alone, reminding me that I could not do these rides with-out a lot of help from people like you. I realized long ago that it’s not about me, it’s about all of us and how we share our stories as friends, families and communities. Each ride is different of course. The first 3 years were brutal and to be perfectly honest I’m not sure how I did it. Last years ride measured out as the best ever. I so enjoyed the East Coast, the New England states, the rich history and its “curious enough to stop and ask what the heck I was all a bout” inhabitants. I like that. When a car stops and there is a young father or mother driving with children in the back seat. And they want to know “hey what are you all about?” I say, “you have just given your children one of the most important lesson of life. If you are interested, stop and find out what caught your attention. Ask questions, discover something you never knew before. As I travel further west, further and further from your east coast door steps. Please, Please remember you will remain forever a part of my rides, the collective memory, as so many others are. The little gifts and momentum’s have been mailed back to Montana. I must travel light and I do. Light hearted with the delightful memories of my “winter in New York.” Looking forward the upcoming additions.I am here now with Christine and Greg Rathjes, both teachers who have offered a quiet respite for both horses and rider. Next stretch…Michigan, Wisconsin, Minnesota then back into Canada. The sun warms my back most mornings and now resides on my left shoulder thru out the afternoon before settling down before us like a red flaring ball of light guiding us home. We still have a fair amount of miles to go. 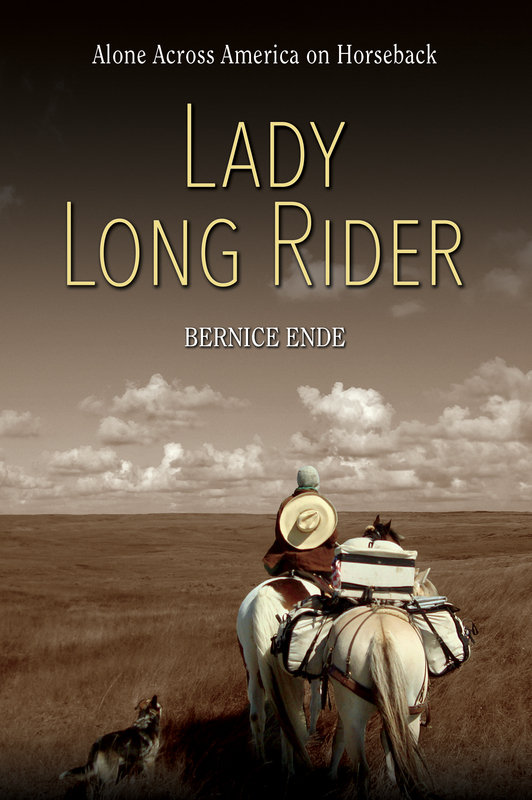 Happy Trails, your lady long rider Bernice Ende. Post office in Strong, Michigan this ones for Kathy Lewis back home in Trego, MT.